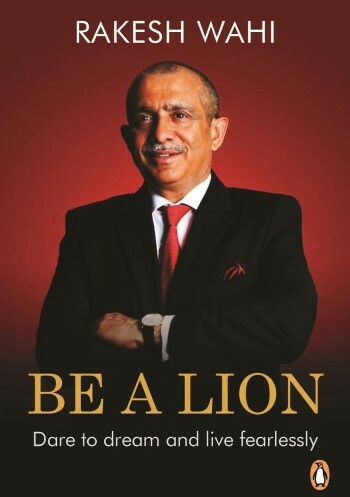 Be a Lion is the memoir of Rakesh Wahi, a visionary entrepreneur who has been involved with early-stage investments in emerging markets for over 20 years. In this book, Rakesh takes the reader back to his childhood in Delhi as the son of one of India’s most respected corporate executives, his early career in the military, where he served with the Corps of Engineers in the Indian Army, and his time on the “frontiers” of post-Soviet Russia and Dubai. He documents his journey through the world of corporate finance, private equity, and investment banking, and recalls his experiences as an entrepreneur in the technology, media, telecommunications and education sectors in the Middle East, Asia and Africa. In the process, he speaks frankly about his many successes and the challenges he overcame and reveals the invaluable lessons learned. Through his own experiences, Rakesh articulates what it takes to be a successful entrepreneur and outlines the requisite core values, including vision, loyalty, patience, trust, interdependence, perseverance and philanthropy. Be a Lion is as frank, honest and uncompromising as Rakesh Wahi himself, and will appeal to anyone interested in entrepreneurship, leadership and emerging-market investments.